Now this is what coffee should taste like. I’ve never singled out French roasts before, either to like or dislike them, but I may have to re-think that. Or just keep buying this one. Admittedly, I originally purchased this because it is the coffee consumed by one of my favorite literary characters, Dave Robicheaux (from a series of novels by James Lee Burke). It comes in a nifty can and is reasonably priced. When I first opened it–wow! This coffee smells amazing. That doesn’t always translate to tasting amazing as well, but this French roast tastes just as yummy as it smells. 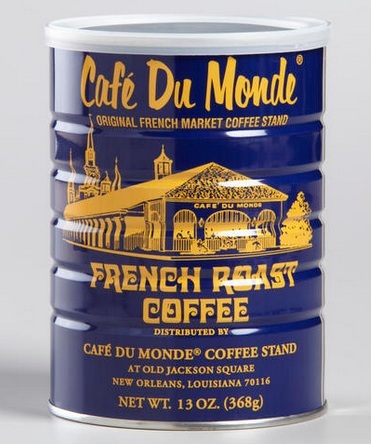 It has a rich, full flavor, and is good any way you try it–black, milk, half & half, drip, French press, hot, iced, luke-warm, with or without beignets. The Café du Monde French Roast is my new go-to coffee to keep around the house, for when I don’t feel like trying something new, or for when whatever new coffee I’m trying proves to be…disappointing. Picked up a big bag of this at BJ’s Wholesale Club. 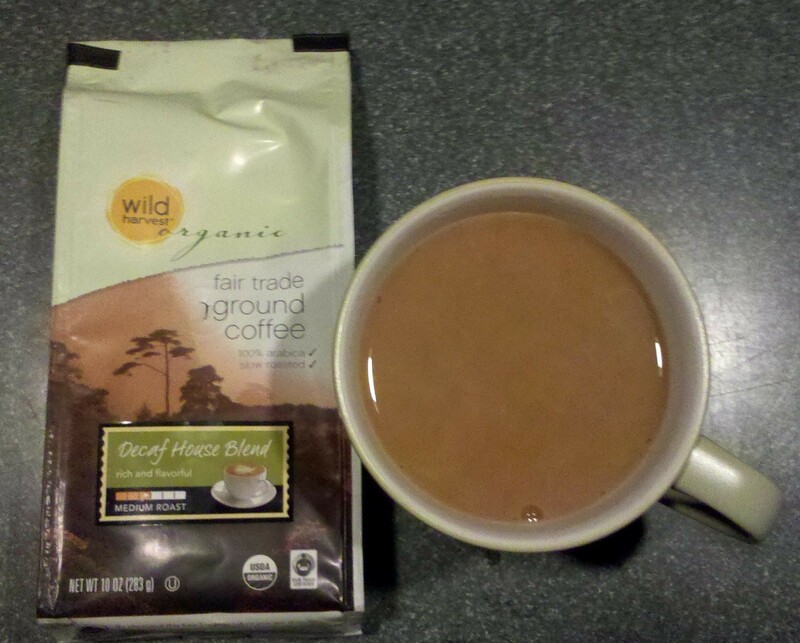 This is a hearty coffee that both smells and tastes great. I’ve been brewing full pots of it at the medium strength setting on the drip machine and it comes out really well. Very smooth and full flavored. And hey, it’s fair trade. If you have a BJ’s membership, I highly recommend picking up a bag of this one. I’m on my second, I like it so much, and it’s not often that I repeat coffees. This coffee is a blend of dark roast and blonde roast. There isn’t enough Blanc, though, to balance out the Noir, and the coffee comes off as bitter, biting you in the back of the mouth, without enough body to make up for it. To be fair, I tend to prefer medium roasts, but I do like a good dark roast now and then and enjoy straight-up espresso. Though I don’t like the way this coffee tastes hot, I tried it iced and thought it was pretty decent. If you like strong iced-coffee and happen to catch the Blanc et Noir on sale, give it a try. 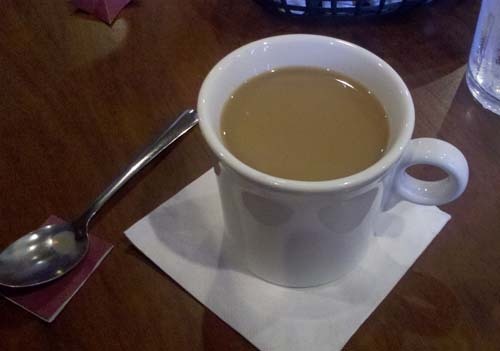 Ordered myself some good old “regular” to go along with my breakfast here at the Riverbound Café in Mechanicsville, VA. It’s pretty good for restaurant coffee (ok, I know that is damning with faint praise). Nice and medium roasted, not served burnt or watery. This place does a good breakfast (grits and biscuits anyone?). The menu is quite amusing–try the aptly named “Three & a Handful”, which is 3 scrambled eggs and a big pile of bacon. Yum. Or, if you’re really brave, try the “Meat Monster” omelet. Yum? So I’ve gone to the other end of the restaurant coffee spectrum here from last week’s Starbucks. Body-less and harsh, Seattle’s Best is worth drinking only in an emergency. Ok, maybe that’s mean. “But you got it from Burger King,” you might say. Well, I’ve had Seattle’s Best served from a few different places and it’s been similarly bad every time. Indeed, when I was at college the cafe used to serve Seattle’s Best but upgraded to Starbucks (after a student petition requesting better coffee). Funny thing though, they had so many of the Seattle’s paper cups left, that they just served the Starbucks in them. Ouch. Gasp! Well, if you’re too snooty to drink at a Starbucks then this probably isn’t the blog for you. They’ve recently rolled out their “blonde” roasts, and I must say I’m a fan. 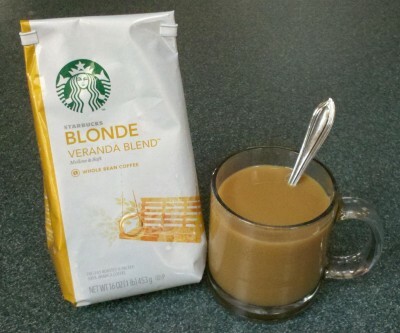 The Veranda (not Verona) blend is pleasantly mild and satisfying. Unlike a lot of coffees that describe themselves as being “mellow” (I’m looking at you, Trader Joe’s Smooth & Mellow Blend), the Veranda actually is. A moderate amount of cream really brings out the best in this coffee. I’m drinking it as a morning coffee and a whenever-middle-of-the-day coffee. The holidays are here, so time for a 5 lb. bag of holiday coffee, acquired at my local wholesale store. As often happens, I brew a cup/pot of coffee, sit down and get distracted reading or working on something. 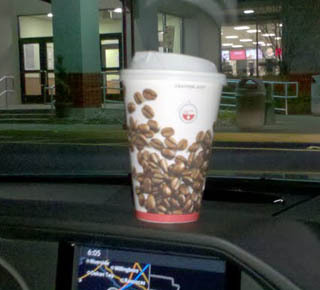 By the time I’ve remember the coffee sitting there next to me, it has significantly cooled off. However, I don’t mind–cold or luke-warm coffee doesn’t bother me when I’m busy. 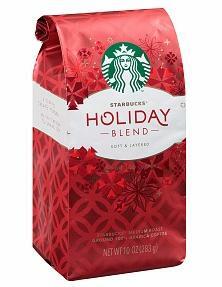 So the other day I brewed some Holiday blend, forgot it, remembered it, took a sip of it, and…blah! When this coffee has been sitting around for even 10 minutes it tastes like an ashtray. Of course, it’s not unusual for coffee to be described as having “tobacco undertones”, but this is like nothing I’ve ever come across. Avoid unless you’re quitting and you miss the taste of coffee and a cigarette (and you’d like that taste in an all-in-one cold, liquid form). I’ll go look for a better holiday coffee. I’ve had no other coffee but this one for a little over two weeks, and I can think of nothing to say about it. 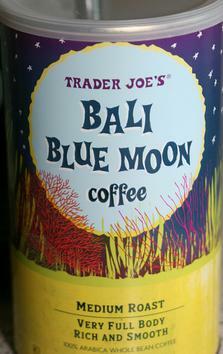 Neither good nor bad; might be the most non-descript coffee I’ve ever had. 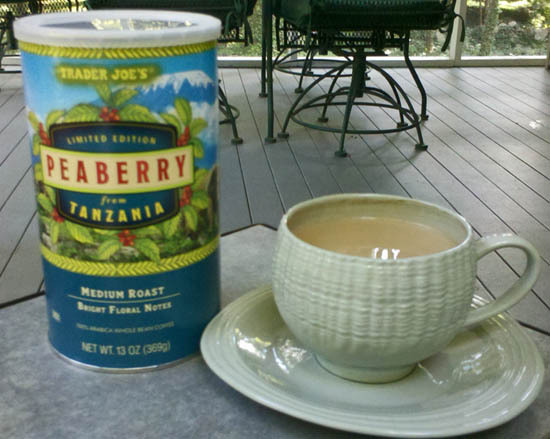 The Peaberry from Tanzania is supposedly limited edition, but I’ve seen it at Trader Joe’s often, so who knows. This medium roast is labeled as being “bright” and it actually is. Drinking this on the porch one afternoon I thought, “this would be really good as a commuter coffee.” As in, when you’re getting ready for work put some of this in a French press and before you head out the door pop some in a commuter mug (the press is key with this one–I tried it drip and it was too harsh). The Peaberry isn’t so mild as to be relaxing, but it isn’t so bold as to be an unpleasant wake-up call. 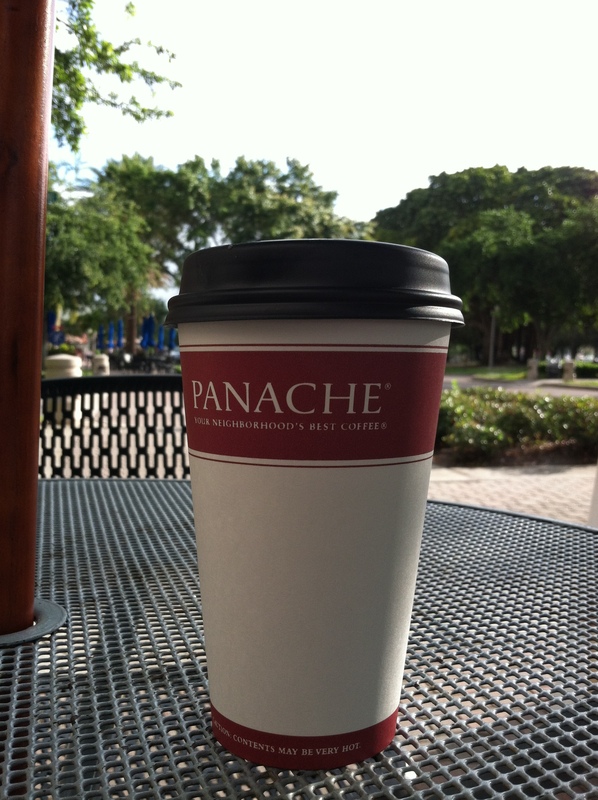 The Goldilocks of morning coffees for the 9-5er, if you will. Picked this up at a supermarket and I’m pleasantly surprised. It’s smooth with a surprising amount of body for a decaf. Don’t get me wrong, I’m no caffeine snob who will not deign to drink that which has been decaffeinated. But the decafs I’ve tried have been pretty blah–till now. Try this for after-dinner, especially with light deserts that would be over-powered by espresso (and if you don’t want to be up all night). 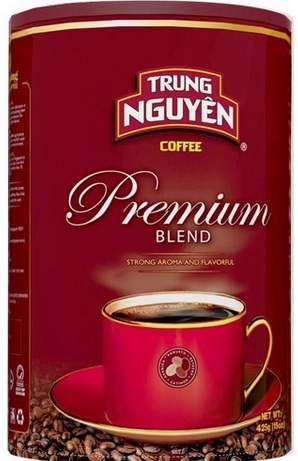 I’ve also been using this to make half-caf, and it improves the taste of mediocre regular coffees. 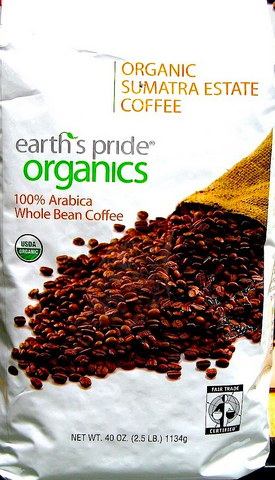 Also, it is both USDA certified organic and certified by Fair Trade USA.